"Starting as a corporate lawyer, Marina van Goor switched careers after studying design at the Gerrit Rietveld Academie. Under the name studio MVGCA, she works as a strategic designer on projects that focus on current issues. Through her work, she aims to reveal deeply rooted structures and ways of thinking that influence society and organizations - her designs are meant to make you think. 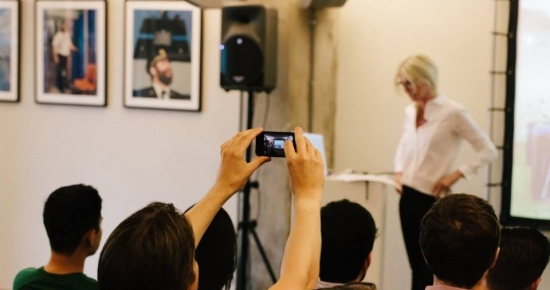 She brings different fields, like academia, business and the creative industry, together to create cross-disciplinary work. Marina develops concepts and then chooses a fitting format to bring them to life, whether that’s a film, an installation, a piece of furniture or even a company. At CreativeMornings, Marina will talk about one of her latest projects, EENMAAL, the worlds first one-person restaurant. It’s a pop-up restaurant where you come as one, sit as one and eat as one in an attractive public space for temporary disconnection. 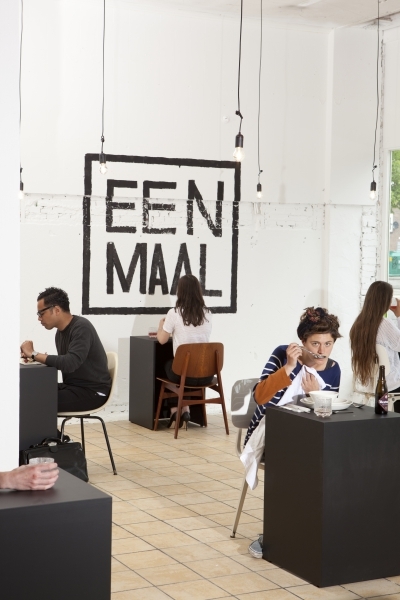 After several EENMAAL occasions in Amsterdam, the restaurant plans to pop-up in cities across the globe later this year." MVGCA is a new creative office for transformational design. Amsterdam based creative office MVGCA, is focusing on transformational design for shaping the world of tomorrow. We accompany and design creative solutions to complex projects. With the focus on societal issues. With 15 year experience we are comfortable to act in complex issues related to our fast changing world in which linear " problem solving" does not work any more and new approaches are needed.